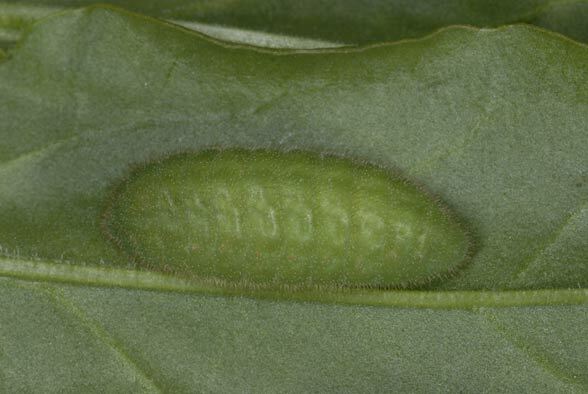 The larvae feed on Rumex acetosa, more rarely also on other Rumex species (according to literature). 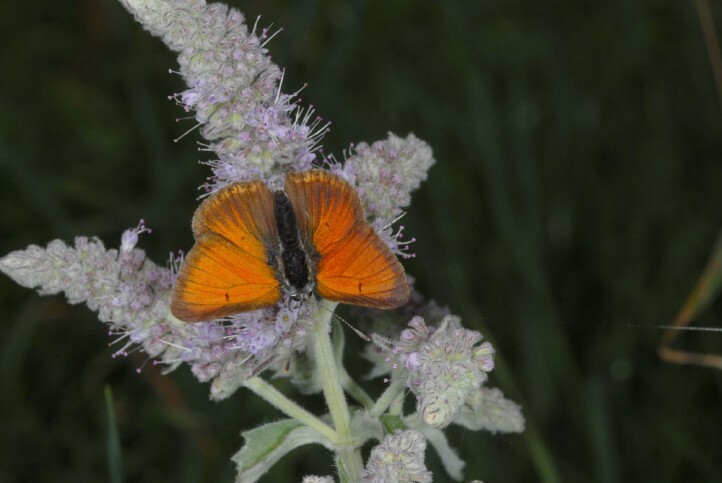 Lycaena hippothoe inhabits extensively managed open land with the food plant. 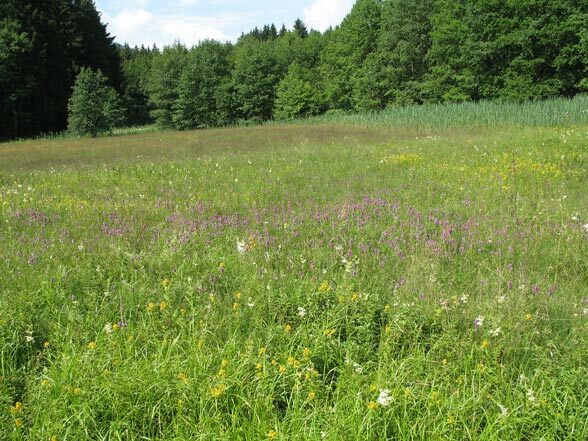 Because nowadays almost the complete mesophilic part of the grasslands has already been intensified (manuring! 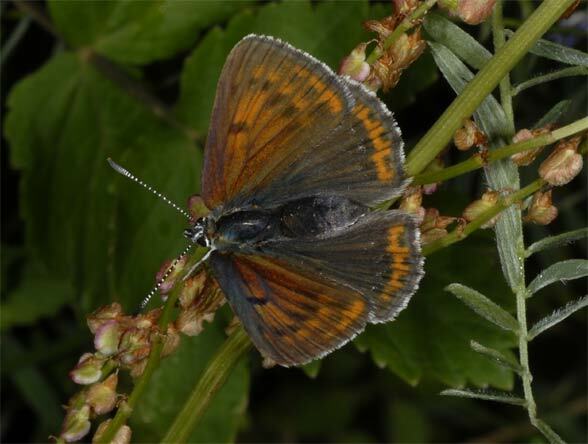 ), Lycaena hippothoe has been pushed back to the remaining extensive remains in the dry (juniper limestone heath, but here because of food plants spread very locally) and humid (fens) area. 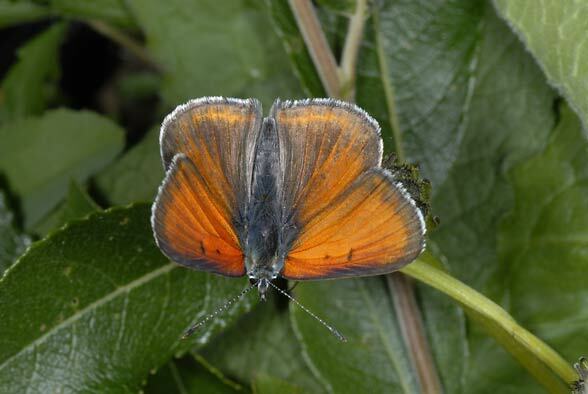 In addition, Lycaena hippothoe sometimes occurs in wide fringes in rather cool-moist forests. 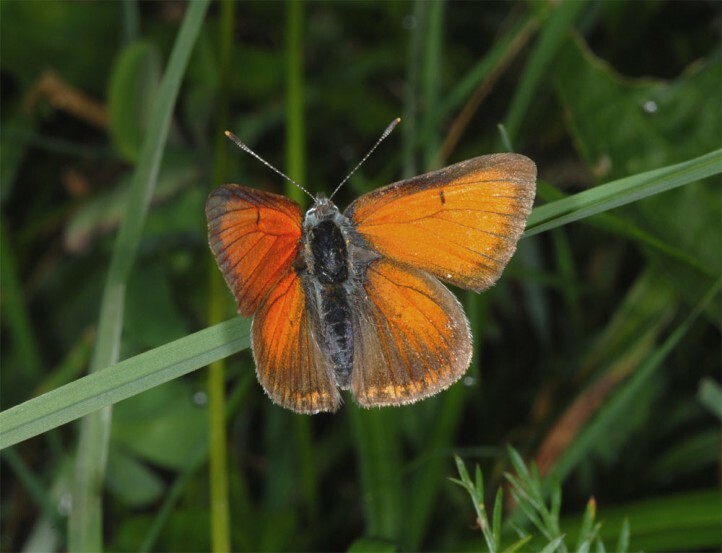 Most populations are still observed in the northern foothills of the Alps in the vicinity of the remaining bog complexes. 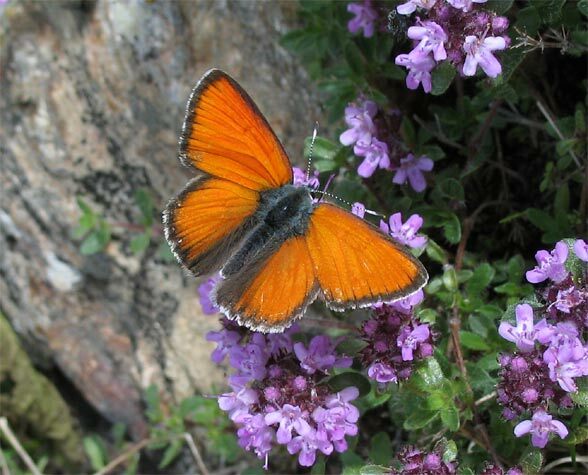 In the southern and Southwestern Alps, the subspecies eurydame is found quite common and widespread up to about 2200m above sea level. 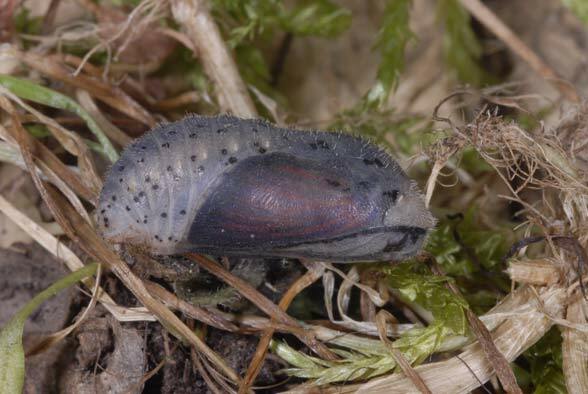 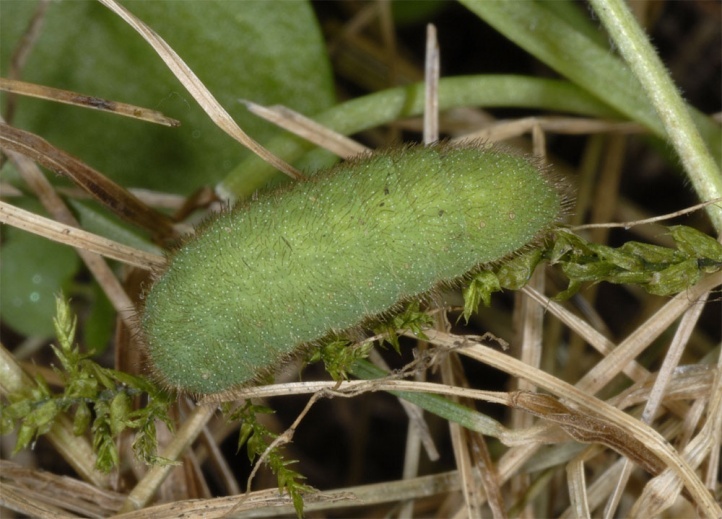 The caterpillars hibernate usually in the third last, but also in penultimate instar. 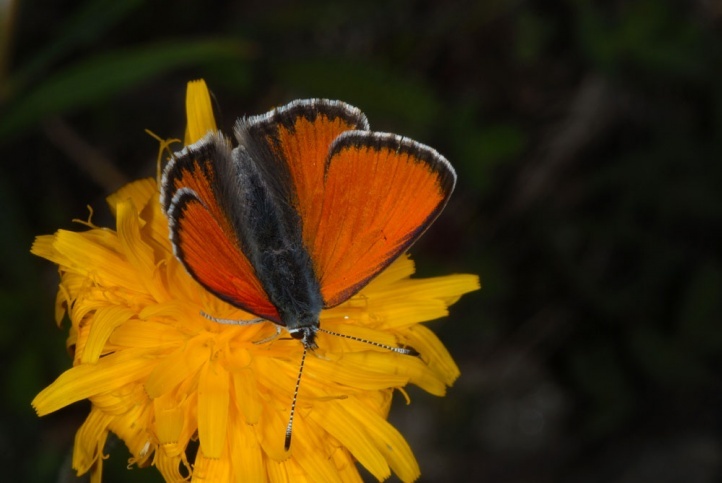 Adults fly in June and early July, in the highlands until early August. 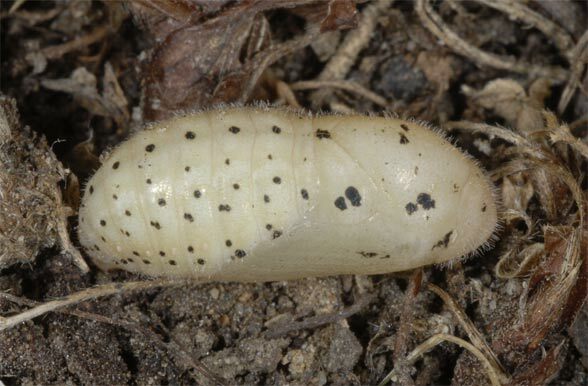 Egg laying usually takes place in the uncut area. 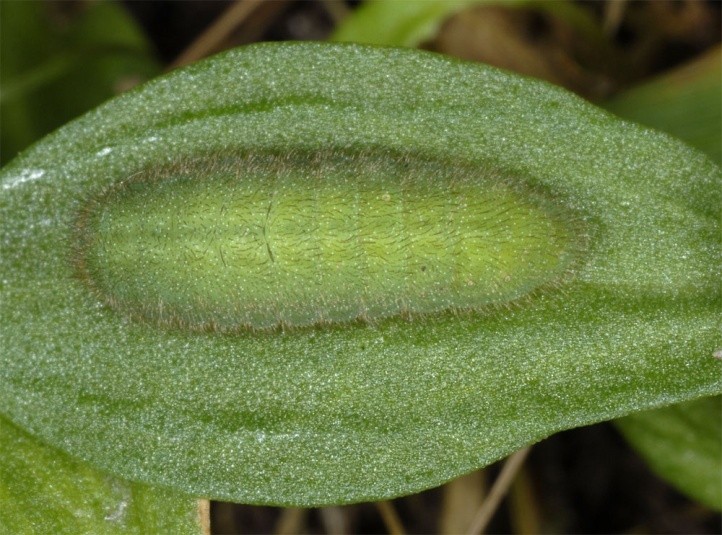 The female lands in the upper third of the plant, usually in the range of the inflorescence and walks head facing down downwards until it encounters a branch or a leaf. 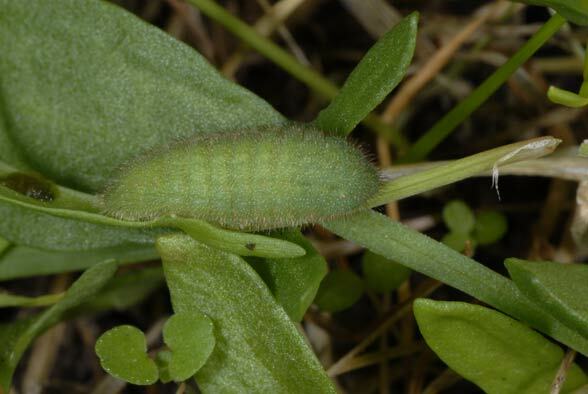 Then it searches with curved abdomen for a suitable place, which is located mostly on the stem below the branch, but also at the petiole or basal leaf top and bottom. 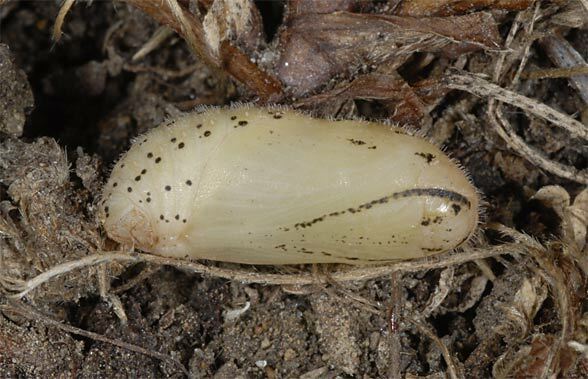 These ovipositions are distributed from the inflorescence to almost ground level. 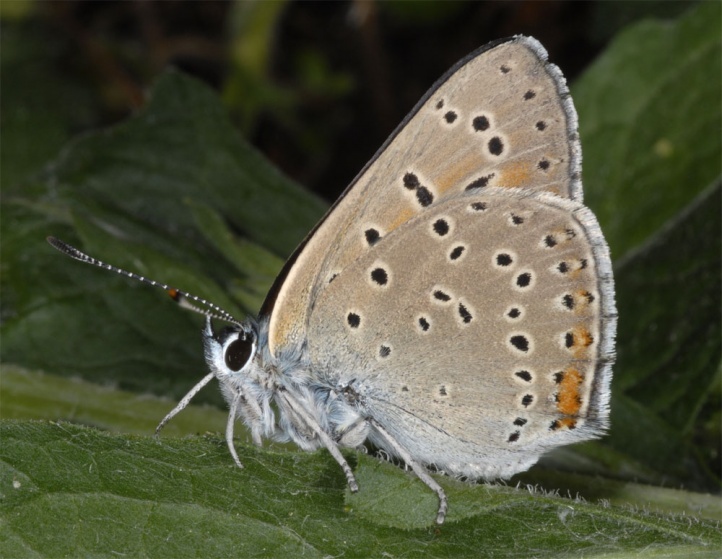 Since Lycaena hippothoe usually occurs in high densities, the eggs are conspicuous and often found in large numbers. 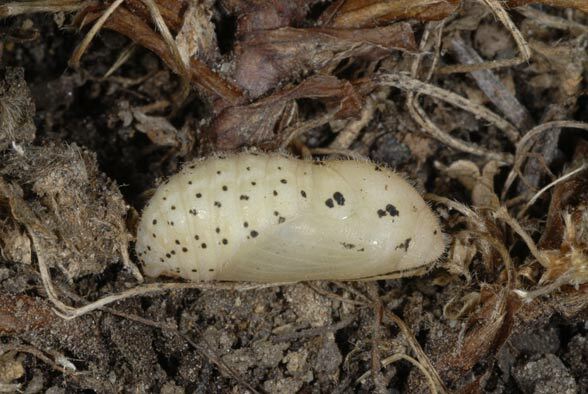 Oviposition habitats are usually something lighter vegetated areas in the wetlands, often for example drier roadsides. 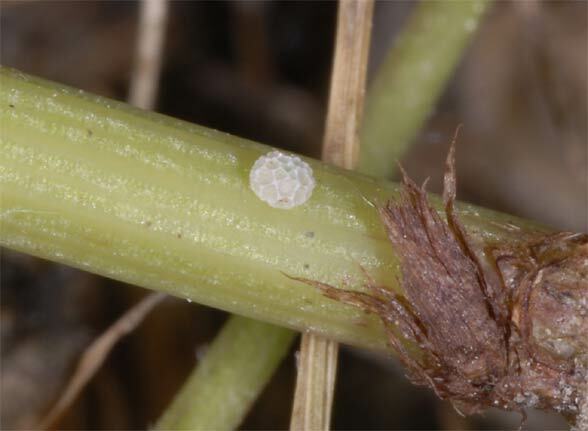 On the other hand, I found, in June 2005, numerous eggs in an intermediate moor, where only few tenuous Rumex acetosa plants grew out of the peat moss. 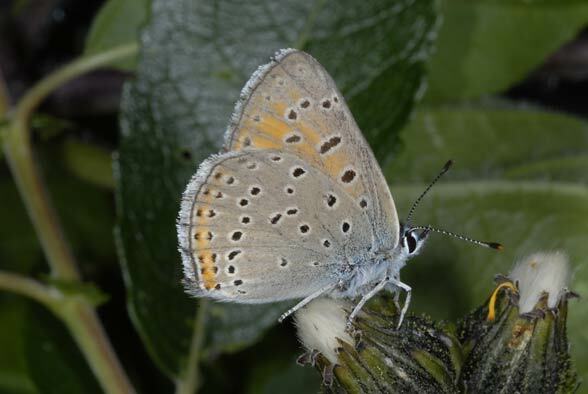 The formerly quite common species has already been pushed back strongly on local islands due to the described habitat loss, especially in the lowlands. 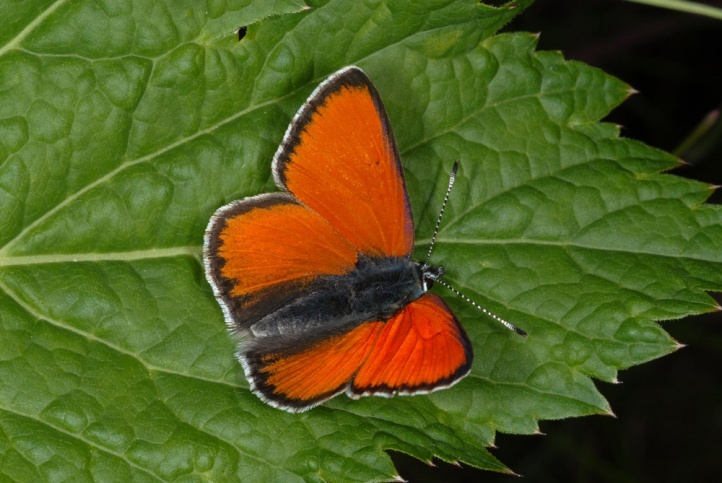 Lycaena hippothoe occurs from Central and Northern Europe to the Amur region in Asia. 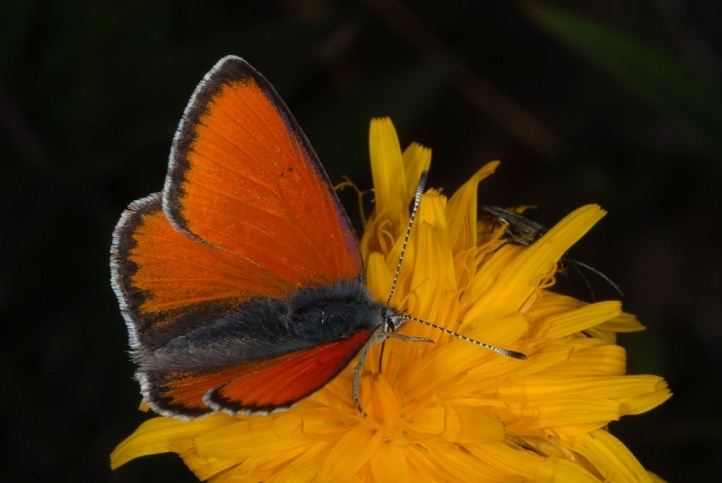 It mostly misses in western and Southern Europe.